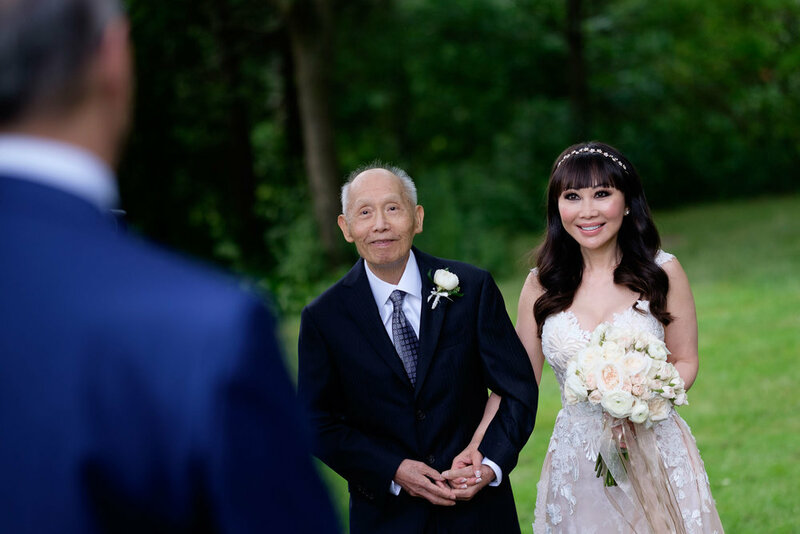 Teresa and Robert were joined by about 30 of their closest family and friends for an intimate wedding at Langdon Hall just outside of Cambridge, Ontario. Robert spent a relaxed morning with a swim and a round of tennis, taking full advantage of all the amenities Langdon Hall has to offer! 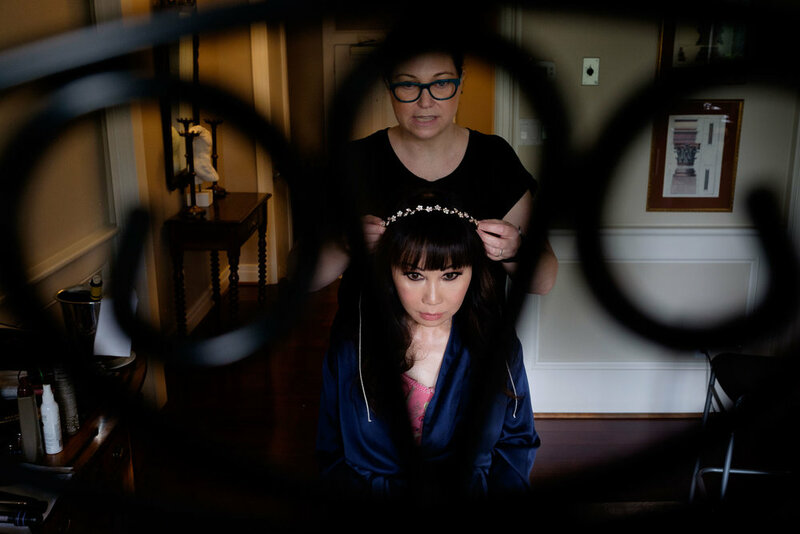 Teresa and their daughters spent the morning in the beautiful bridal suite having their hair and make up done. Teresa and Robert opted to have a first look and used the beautiful new Summer House attached to the Firshade Room. 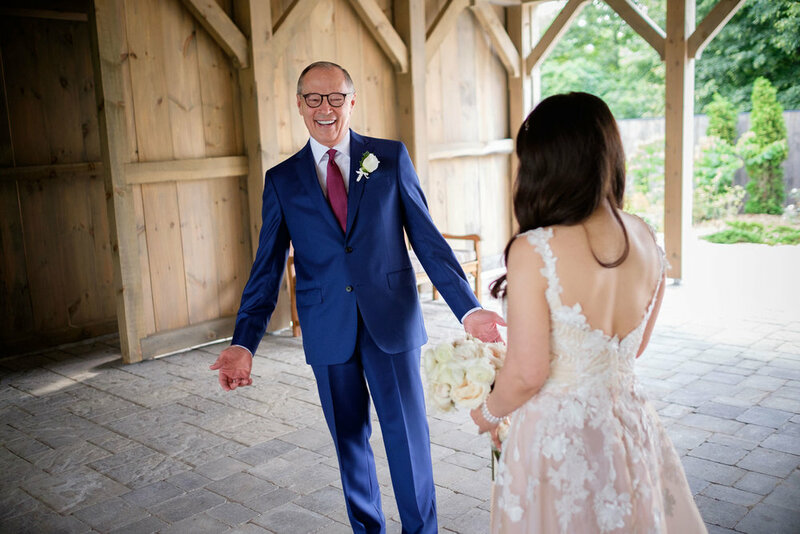 I really loved Robert's reaction to seeing Teresa in her dress for the first time! 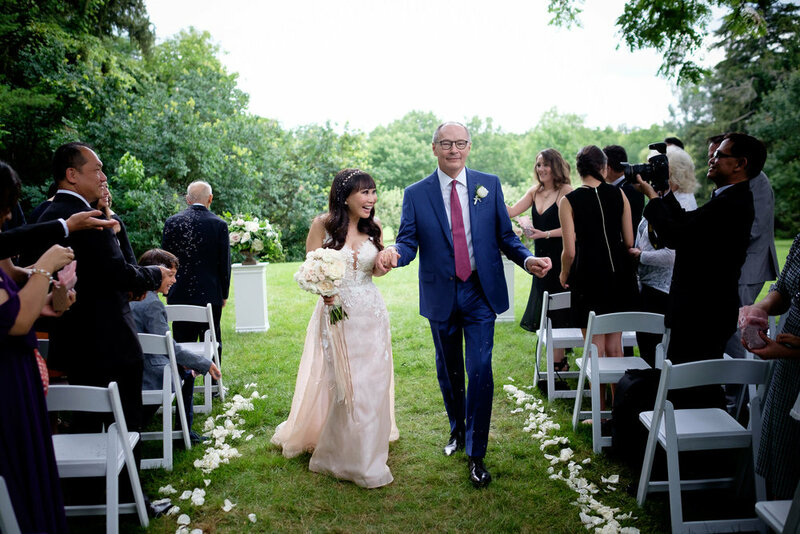 We took some time for some portraits of the happy couple and then it was off to the outdoor ceremony which took place in the old orchard and featured a string quartet, a very talented soloist and several really touching readings. 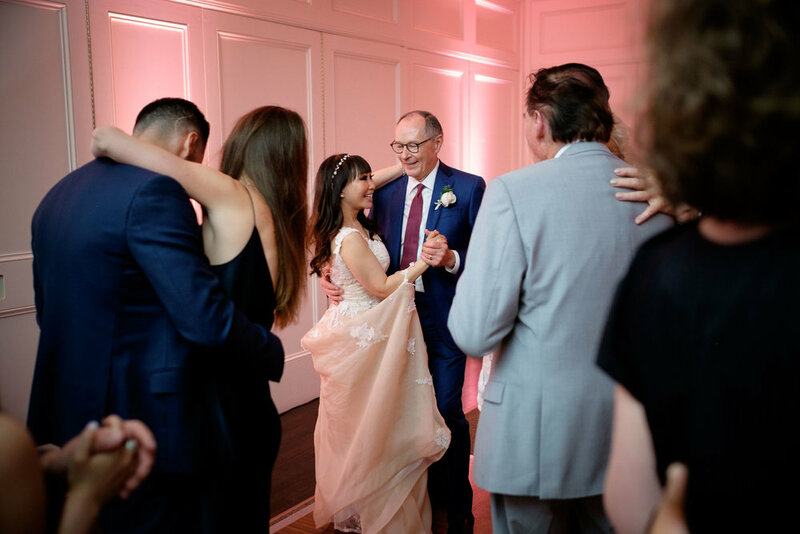 As soon as the ceremony was over and Robert + Teresa danced their way down the aisle everyone headed to the Orchard Room terrace for cocktails and canapés while we took a few family photos. Dinner at Langdon Hall is always amazing and of course this meal was no exception. Teresa and Roberts daughters both gave really moving toasts followed by the couple themselves. The beauty of a smaller intimate wedding like this one is you have so much more time to interact and spend time with your guests. After dinner Teresa and Robert kicked off the dancing with their first dance and then everyone joined in for some fun! You can check out some of my favourite photographs from their wedding above as well as the full wedding slideshow below!